Nacho Latkes - Kosher In The Kitch! 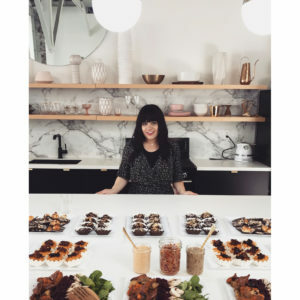 Nacho Latkes - Kosher In The Kitch! 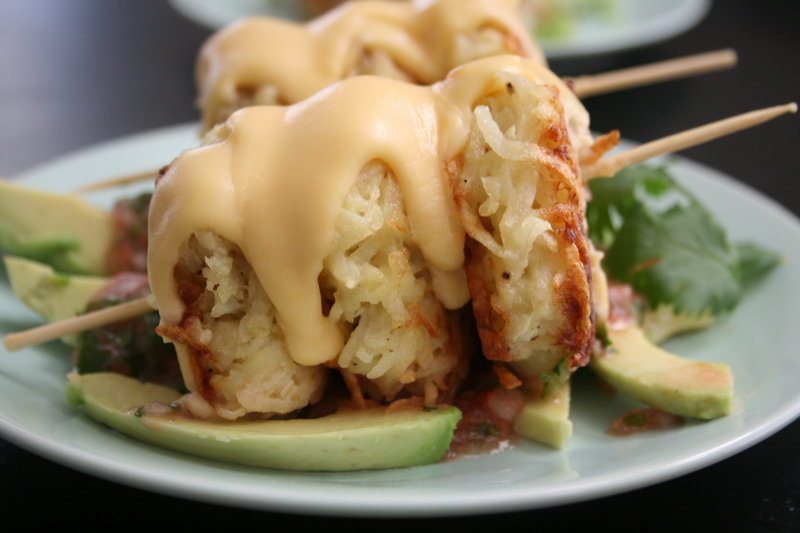 Spice up the original potato latke this holiday! 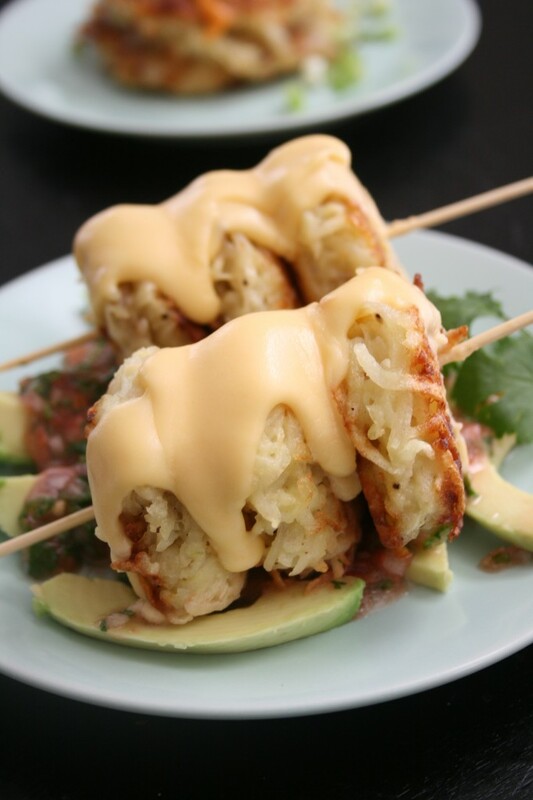 Skewer bite sized potato latkes together with a layer of creamy nacho sauce served on top. Melt butter then add flour and whisk together until well combines and a paste forms. Add milk and over a medium flame whisk until sauce thickens then add shredded cheese and continue whisking until cheese melts and sauce is smooth. Pulse together in a processor until smooth. Optional, add 2 jalapeno peppers without seeds for spice! 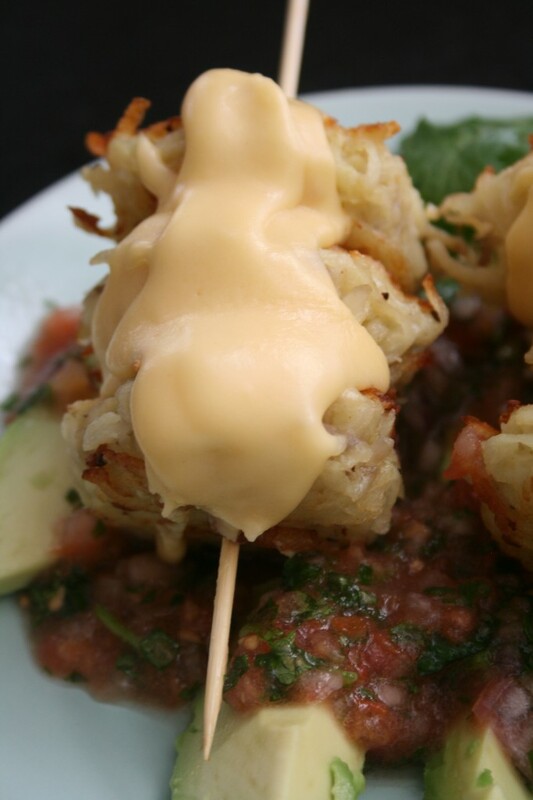 Plate latke skewers over sliced avocado and salsa with nacho sauce on top.